Looking for a Physical Therapist in Ferndale, WA? Long-term pain or an injury makes it difficult for you to live your daily life independently. When you cannot move or function properly because of a physical limitation, you may be able to benefit from physical therapy. At Whatcom Physical Therapy, we use the latest techniques and technology to help patients with physical rehabilitation. If you live in the Ferndale, WA area, you should come by our clinic to work toward your recovery goals with one of our physical therapists. Why should you visit a physical therapist? Whatcom Physical Therapy has been helping people overcome physical conditions and become independent for more than 21 years. Our staff has years of training at the graduate level before becoming licensed. Whether your pain is from an injury or a long-lasting condition, we may be able to develop a treatment plan for you. Physical therapy treatment typically involves a series of exercises and hands-on therapy to help strengthen and increase the flexibility of muscles around the damaged area. During the first appointment of your physical therapy, your physical therapist will perform a complete assessment of your recovery needs. To make a proper diagnosis and develop a personalized treatment plan, your physical therapist will also ask some questions about your health and medical history. 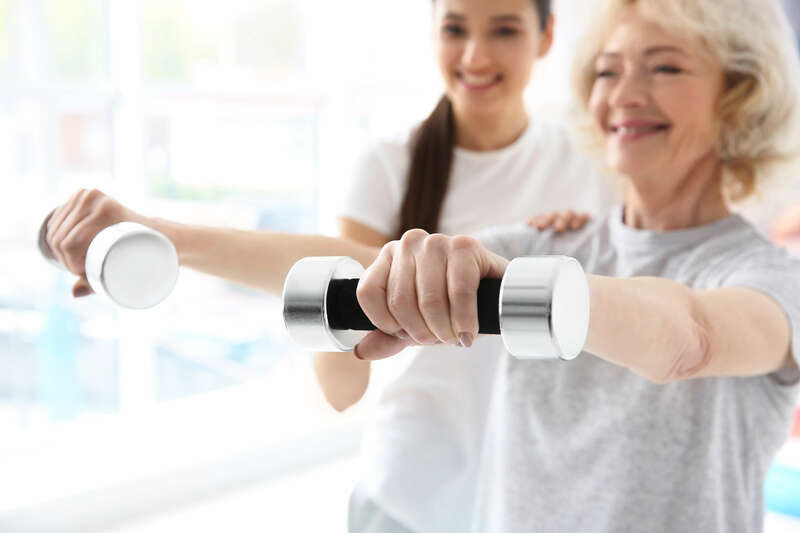 Throughout your treatment, your physical therapist will also guide you through exercises and stretches to do at home that may help speed up your recovery. What else do physical therapists do? Aside from assisting patients with recovery, physical therapists also provide injury prevention services and training. If you’ve been injured in the past, your physical therapist can work with you to develop techniques that should help prevent re-injury in the future. At Whatcom Physical Therapy, we also offer a group fitness program. This program is designed to help people with burning fat and staying fit. To learn more about our programs, including yoga, Pilates and guided meditation, check out our group fitness program page. Would you like to speak with a physical therapist at Whatcom Physical Therapy about what physical therapy can do for you? Please contact our office in Ferndale, WA to schedule an appointment. If you would like to visit us at another location, we have two other clinics in Northwestern Washington in Blaine and Point Roberts.